trade fair HBA Splash Expo, that the Brands North American introduction enjoyed a most enthusiastic response from show attendees. “We were overwhelmed by the comments and support we received from every visitor to our two stands”, said Dr. O’Connell. 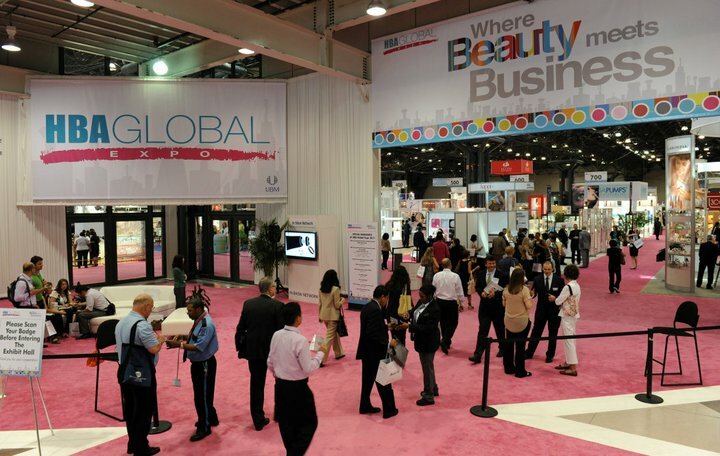 “The HBA show features numerous Skin Care Brands so competition is intense. It was gratifying to experience such a positive reaction to a therapy that is so different from anything else yet developed for treating serious dermal maladies caused by sun abuse, aging and medical conditions”. “Buyers, influential beauty bloggers and cosmetic industry trade journalists were unanimous in praising our Hydro-BioMimetic pro-active products after experiencing our Restor-Imaging demonstration”, said Kateri Delaney RN, General Manager of 3 Sisters Restorasis. “The immediacy and visual proof of performance that occurs after a single application is powerful”. I don’t know how it is exactly, that until Wednesday, I have never had reason to attend the Jacob Javitts Convention Center before, but I relish new experiences, even on 100 degree days, so off I went. Remarkably, this behemoth that spans nearly 6 city blocks was as cold as a meat locker…trust me, I wasn’t complaining. What was going on was an International fair of new products, technologies, packaging, formulation, speakers and panels. Stay tuned Girls…you don’t think I would hold out on you do you? Frederick, MD Meg Comer, General Manager of the famous Sylvana Wellness Institute announced today the North American consumer market introduction of 3 Sisters Restorasis Hydro BioMimetic Skin Therapy products at the HBA Splash trade show and concurrent Spa & Resort Expo, June 19-21 at the Javits Center in New York City. “We decided that the line was too important to only take a bite at half a loaf”, said Ms. Comer. “Each show is offers unique exclusivity in their targeted retail audiences and these are exactly the upscale retailers, serving discerning clienteles that love the Medical Aesthetic provenance we have created with the Brand”. “Dr. Jeanne O’Connell and her sisters Meg Comer and Kateri Delaney have created an elegantly simple, but ingenious formulary”, said Geoff Ficke, President of Duquesa Marketing, Florence, KY based Managing Consultants for the project. “Their 100% Organic, Self-Sterilizing Lipid Complex provides dermal performance unrivaled, and in reality thought impossible in the past”. “3 Sisters Restorasis will be located in the special Splash Pavilion at HBA, Stand #1556 CB, Level 3”, said Kateri Delaney RN. “The line will be shown at Stand #474 at the Spa & Resort Expo. Our team will be performing our proprietary “Restor-Imaging” demonstration at each location for the entirety of the shows”. Frederick, MD Jeanne O’Connell MD, CEO and co-founder of the famous Sylvana Wellness Institute announced today that she will introduce 3 Sisters Restorasis Hydro BioMimetic Skin Repair Complex, developed for the treatment of patients suffering serious dermal maladies, at the upcoming Spa & Resort Expo. “My sisters Meg Comer, Kateri Delaney and I have spent years developing a Self-Sterilizing Lipid Complex based on 100% natural mimetics and advanced science”, said Dr. O’Connell. “We utilize these products daily in our practice to treat patients with amazing results. It is the perfect time to introduce these breakthrough formulations to exclusive Day Spas and their discerning clientele”. “3 Sisters Restorasis, with its pure Medical Aesthetic provenance, is unlike any Skin Care regimen on the market today”, said Nancy Ficke, General Manager of Florence, KY based Duquesa Marketing, managing consultants for the projects development and launch. “The lines Genesis was for the treatment of patients with dermal problems so the formulary has to perform and it does beautifully”. 19-21 Spa and Resort Expo”. Florence, KY Nancy Ficke, General Manager of award winning Consumer Product Development and Branding Consulting firm Duquesa Marketing announced that her firm will unveil 3 Sisters Restorasis™ Hydro BioMimetic Skin Therapy products to the North American marketplace concurrently at the HBA Splash Show and the Spa & Resort Expo, in New York City at the Javits Center, June 19-21, 2012. “Each of these shows is a premier event for their target retail audiences to attend”, said Mrs. Ficke. “3 Sisters Restorasis is not a typical Cosmetic driven topical Skin Care line. It was developed as a Medical Aesthetic answer for serious patient dermal maladies. Discerning, upscale Day Spas and Resorts will be the best possible distribution channel to introduce this Brand to their clientele”. “The formulary that makes 3 Sisters Restorasis so effective combines the mimetic benefits of natural flora and fauna with modern science”, said Alexis Bruning, V.P. of New Product Development for Duquesa Marketing. “The result is a 100% Organic, Self-Sterilizing Lipid Complex that provides amazing healing, visual improvement to abused, aged, damaged skin almost instantly”. “3 Sisters Restorasis will be presented at Stand #1556 CB, Level 3, in the featured product HBA Splash Pavilion”, said Geoff Ficke, President of Duquesa Marketing. “The line will be shown at the Spa & Resort Expo, Stand #474. Our staff at each location will be demonstrating the unique performance features of Restorasis by performing our proprietary Restor-Imaging application”.